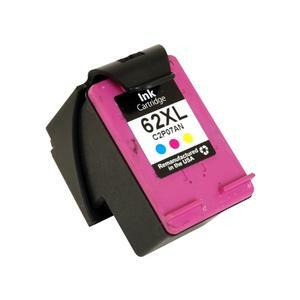 All MichiganInksupply.com remanufactured inkjet cartridges start with an original Hewlett Packard (HP) cartridge that has been used and depleted. These cartridges are cleaned and tested before being refilled with aftermarket OEM compatible (Non Genuine HP) ink. Remanufactured cartridges are designed to provide the same number of prints as the original cartridge while also being a great way to save money and prevent uneeded cartridge waste. All remanufactured cartridges are backed by our Unconditional 60 Day Money Back Guarantee. Copyright © 2019 MIS Associates, Inc. All Rights Reserved.